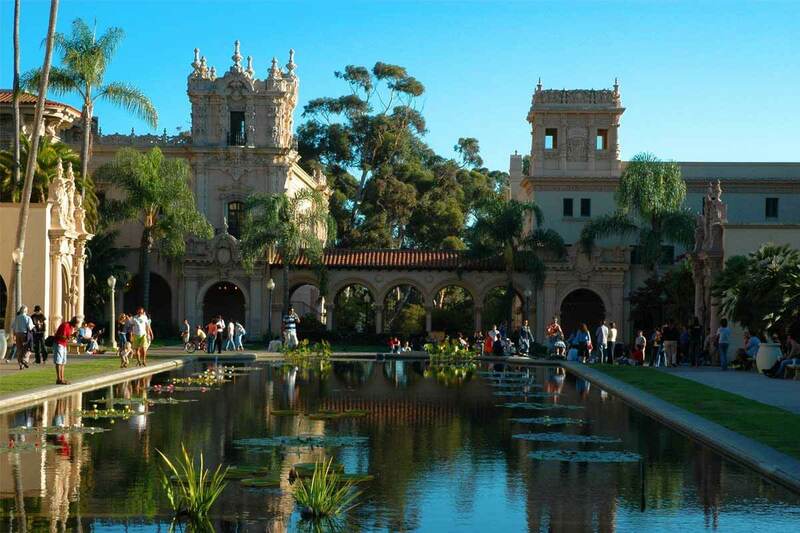 Home to 15 major museums, the World-Famous San Diego Zoo, beautiful gardens, and performance venues, Balboa Park is the perfect place to start the day in San Diego. Choose a few museums or attractions to visit and spend 2 hours exploring the zoo. This will take up the majority of the morning and get you ready for lunch. 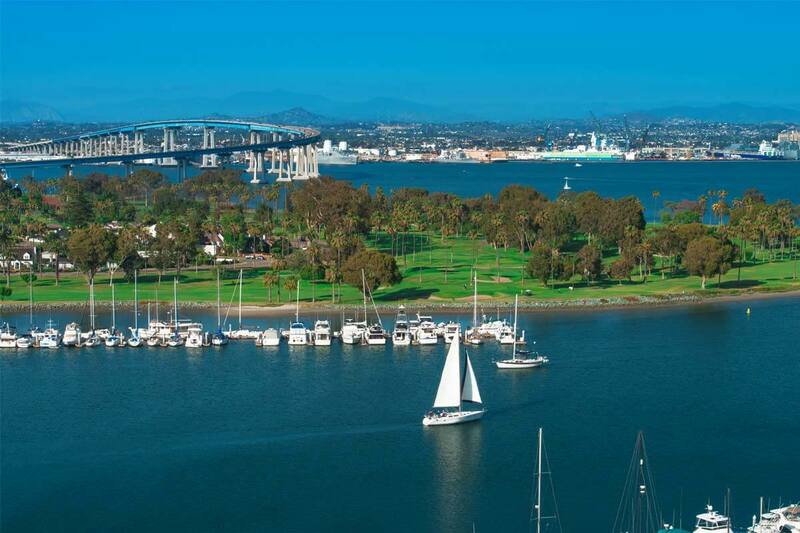 After a morning at Balboa Park, head over to Coronado Island to see its beautiful beaches, natural scenery and enjoy a delicious lunch overlooking the water. There’s a myriad of restaurants that serve up everything from Italian and Seafood to American and Asian inspired cuisine. There’s also a bunch of chic shops, boutiques, and galleries to browse through. 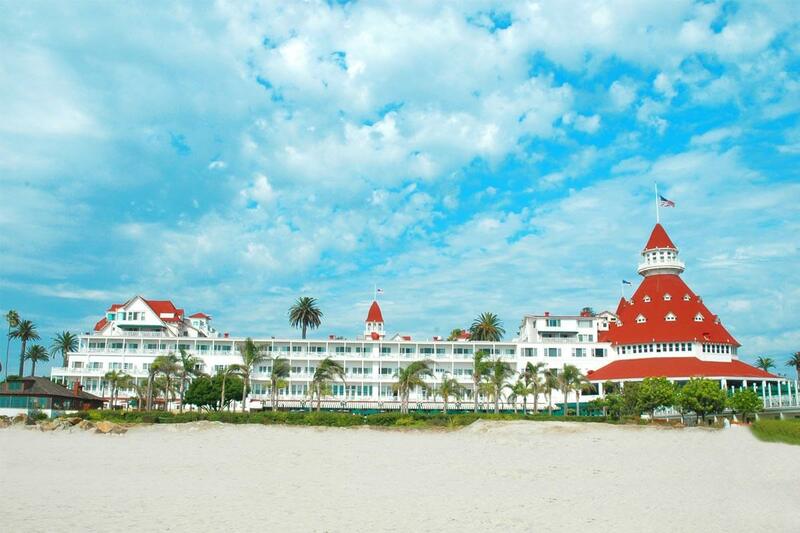 Be sure to check out Hotel Del Coronado. The magnificently historic hotel has hosted guests since 1888 and is located directly on the beach providing spectacular views. After Coronado, head back across the bay and join us for a unique San Diego tour that you’re sure to enjoy. 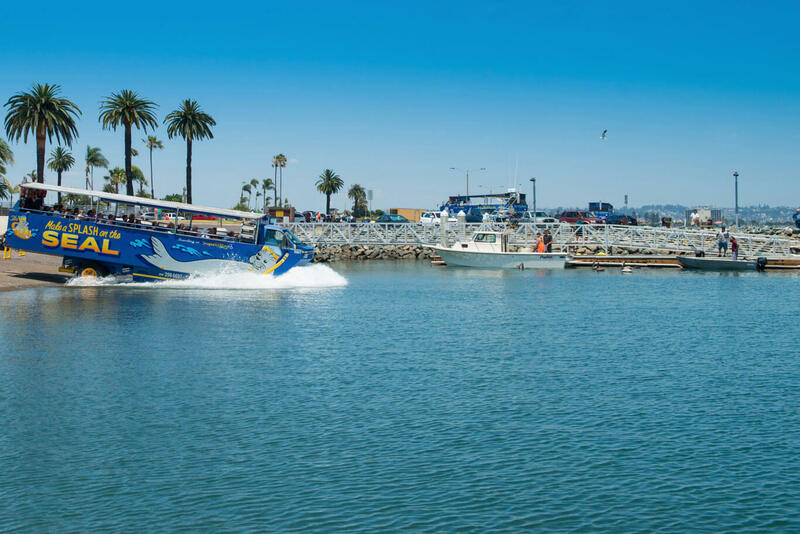 Choose from two departure locations: Seaport Village on Harbor Drive or The Embarcadero. 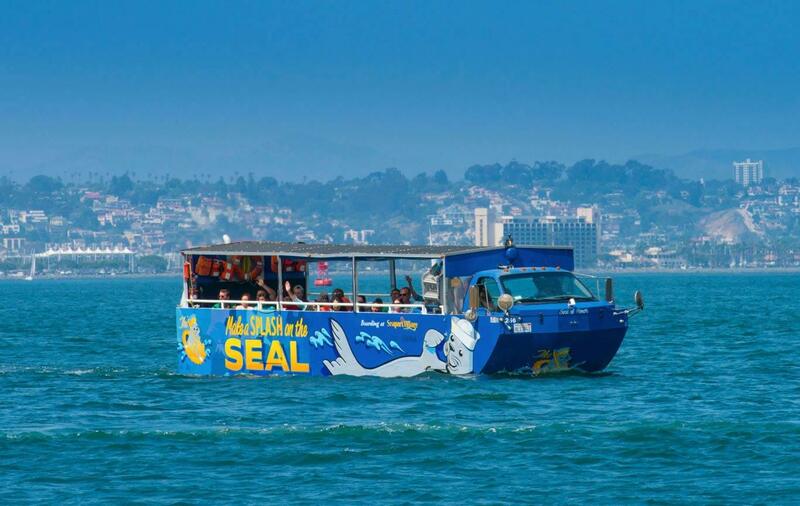 You’ll journey through beautiful San Diego, past famous points of interest like the Star of India, the USS Midway, and Lindberg Field en route to Shelter Island where you’ll splash down into the bay for a 60-minute harbor cruise. 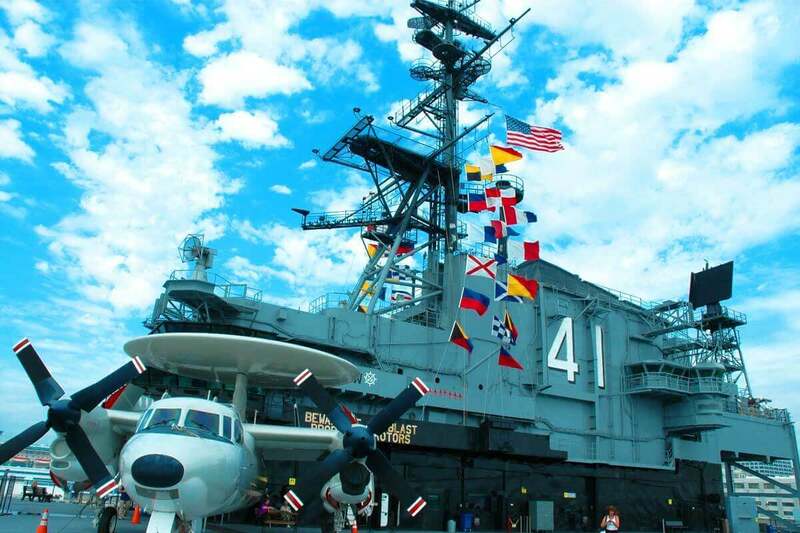 The USS Midway Aircraft Carrier, located at Navy Pier, provides tours of the longest serving aircraft carrier in the history of the United States Navy. Visitors can tour the deck, see where the crew ate, slept and worked and explore more than 60 exhibits. Make sure to get there before it closes at 5:00pm. Known as the birthplace of California, Old Town State Park was first established in 1821. A visit here is a journey back in time to an era when Mexico gained independence from Spain and a small group of Mexican settlers began building homes below the first mission and Presidio. As you tour through this historic park, you can see the original Adobe buildings that the first settlers lived in and learn about their rich traditions, culture and heritage. 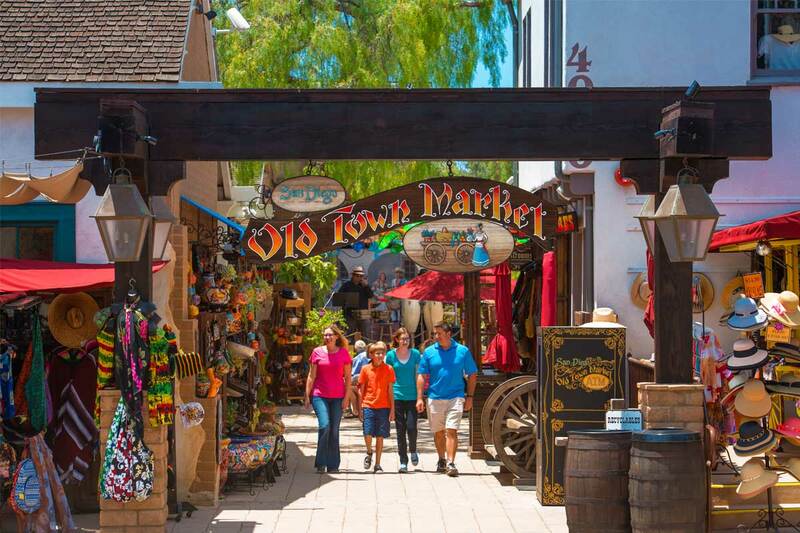 The Old Town Market is also here, along with restaurants, shops, and artisans at work. Be sure to see the Whaley House while you’re here – an iconic Greek Revival House that is known for its mysterious past and paranormal activity. 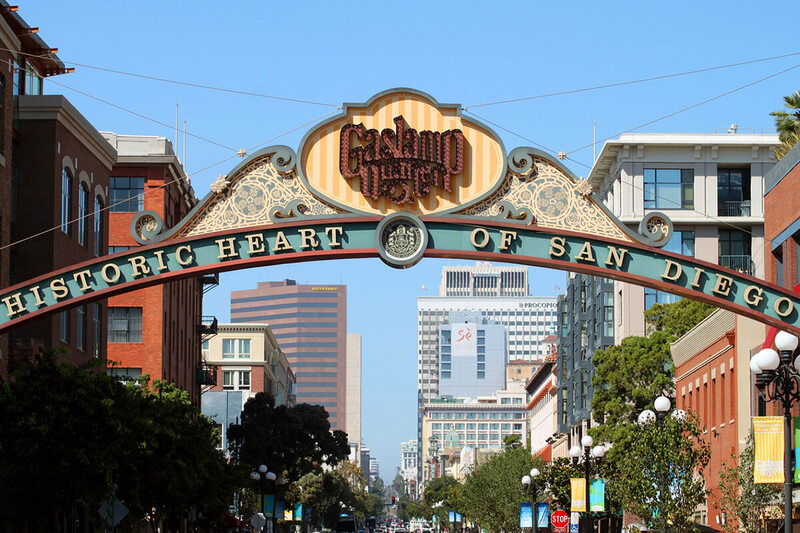 Considered to be the historic heart of San Diego, the Gaslamp Quarter encompasses 16 blocks of masterfully restored Victorian architecture. There are more than 100 different shops, restaurants, art galleries and entertainment venues offering an evening of enjoyment and history. Enjoy dinner at one of the many fine restaurants and stroll past the Victorian homes before heading back to your hotel.